I think it must be a love/hate thing. The whole “mousse” phenomenon took beauty world on a whirlwind when it first came out. Whipped/mousse products came out one after another and Maybelline established a whole line based on that concept. Mousse foundie, mousse blush, mousse eyeshadow etc. Now while I abhor the Dream Matte mousse Foundie, I’ve actually taken quite a liking to the blush. 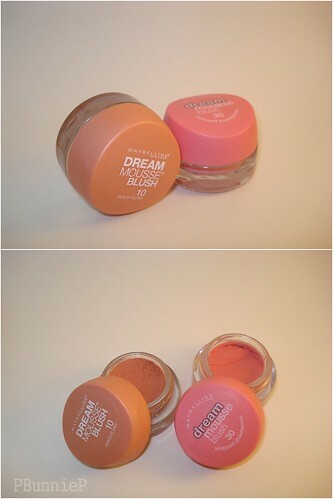 Maybelline’s Dream Mousse Blush come in adorable small [though rather heavy] glass jars with colour coordinating lids to show the colour. Keeping with the mousse concept, the blush has a soufflé texture, very soft and very lightweight. I believe there are around 6 colours or so readily available. 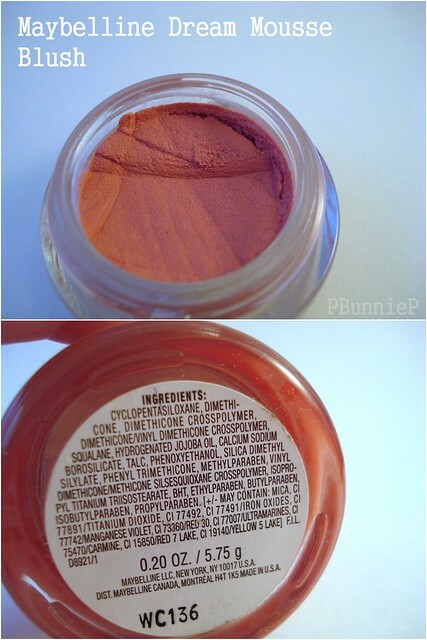 I used to havea Coco shade that was beautiful for summer as a bronzer. They have cute girly shades like Whipped Strawberry (which is shown in the picture). They also have more natural shades like peach and rose. Overall, it’s a decent colour selection. Colour payoff is…sheer-medium though I can definitely see that its possible to build up the intensity by layering. While the soft texture may fool you into thinking that you don’t have a lot on your finger it actually intensifies nicely once you rub it on your cheek. A lot of them do contain small sparkles/shimmer in them, so beware! Fluffy! While some “cream” cheek colours tend to be sticky and a little gooey, I love how this mousse blush dries down to a powdery finish. 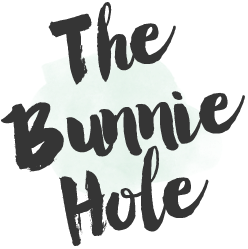 It can be applied with fingers, a buffing brush or…my favourite, use a sponge! That way you can more easily control the application by dabbing on the colour, rather than rubbing it in. Oh yeah and one more thing, unlike the Dream Matte Mousse Foundie…I don’t have any breakouts or clogged pores from this! [Likely because you’re not using this all over the face to begin with]. I’d say this is a product I reach for a lot on my lazy days. 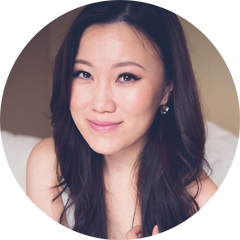 Or on days that I’m wearing BB Creams, because I find that powder blush doesn’t match the glowy look from the BB Cream. This is definitely something that I would pick up again!